While short-term loans are more expensive than most conventional loans, they're easy to get and can help you build credit. A short-term personal loan is a loan taken out by an individual whose repayment term is less than a year. Short-term loans are usually smaller than traditional, long-term loans, and have higher interest rates, although in a down economy this might not necessarily be true. Short-term personal loans are sought after by individuals for a variety of circumstances, such as emergencies, investment opportunities, and irregular income. As they are easier to qualify for, they are also often used to build credit. On short-term personal loans, as mentioned above, tend to be higher than what you’d find on a traditional loan, such as a mortgage. APRs for short-term personal loans can be as low as 300% or as high as 800%, although they tend to hover around 400%. A typical short-term personal loan will not require much in the way of credit, at least not when compared with the stringent requirements extant in the realm of long-term lending. Due to the loans’ relatively short-term nature and low-fund structure, they don’t represent the same kinds of risks to lenders as a traditional loan, and thus there is less of an impetus on the part of lenders to indulge in a lengthy application process to guarantee an applicant’s ability to pay back the loan. The effect of this, however, is that short-term personal loans have higher interest rates than longer, more secure and fact-checked loans would. Because of the low-stakes nature of short-term personal loans, the market of available lenders is significantly larger and more diverse than that of long-term loans. Typically it includes payday lenders, a host of online lending startups, and third-party online brokers between individuals willing to lend personally. It’s worth noting that, due to the prolificacy of lenders, there is a subset of the market whose lending strategies are predatory and exploitative, preying on the vulnerable demographic of individuals with bad credit in need of quick cash. Be sure to be diligent about research when comparing rates and lenders before agreeing to a loan’s terms, and don’t be afraid to walk away from a loan offer if you feel uncomfortable about the terms. Individuals looking to apply for a short-term personal loan who have bad credit are in luck, in a way. Short-term personal loan applications are notoriously relaxed, sometimes requiring little or no documentation, and those that do have less-strict credit requirements than those in place for longer-term loans. This ease-of-access comes with a price, however, in the form of high-interest rates, strict penalties for missed payments, and hidden fees. As mentioned above, take your time in deciding who to take a loan from, and don’t agree to anything you’re not completely comfortable with.  The bottom strata of short-term personal lenders are occupied by lenders who are willing to lend to individuals with zero checks of credit or income. This subset of loans, known colloquially as stated income loans or ‘no doc’ loans, tend to be offered at extremely high-interest rates and with hefty fees in place for missed payments. If you’re in need of funds for emergency measures, a stated income loan might be a good option, if you’re confident you can repay on time, but these lax loans frequently land applicants in cycles of debt that are destructive to both their credit and their finances at large.